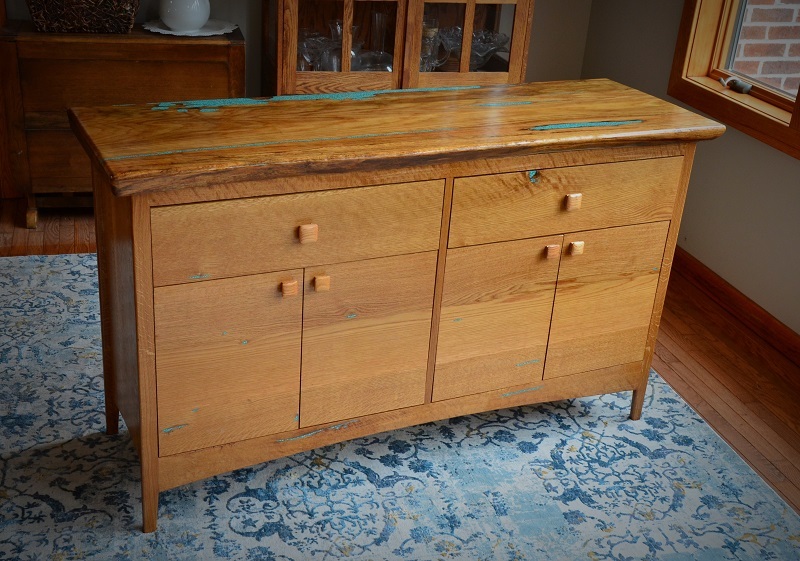 I make unique and original furniture from locally sourced sustainable and reclaimed lumber. None of my slabs have been logged, they have all come from trees that came down in storms or had to be removed because they were threatening nearby structures. All of my current inventory is for sale on Etsy. 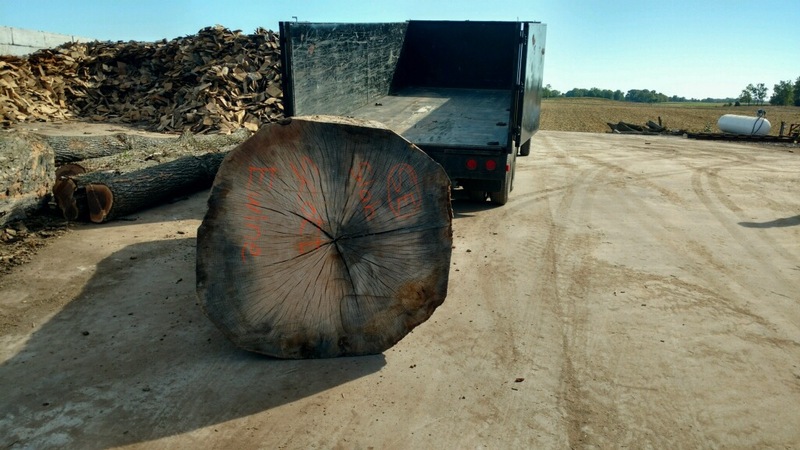 The logs I use are provided from tree removal performed by Baker Tree Services, Inc. in Thurmont, MD. I have been named the February 2018 DIY Furniture "Maker of the Month". Below are some pieces I have created recently. This white oak slab dining table came from the large tree that was taken down on the north side of Frederick, MD to make room for the Monocacy boulevard overpass. 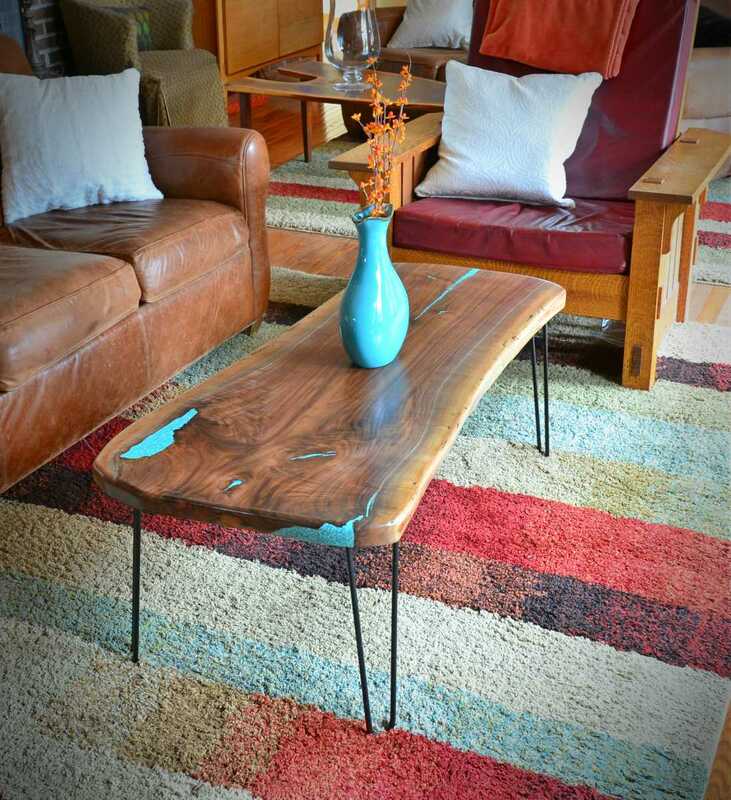 It has turquoise inlay and is available with either hairpin legs or vintage industrial legs made by local artist metal sculptor Joe Dale. 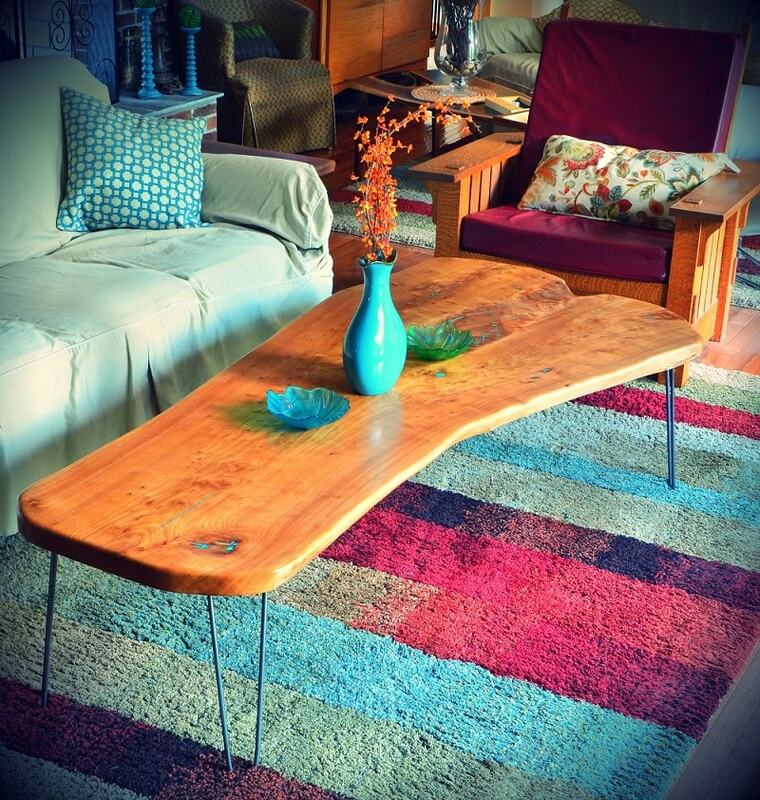 I had the pleasure of making this table for Russ Roberts - economist, author and host of Econtalk. He is also the co-creator of the indisputably greatest economics rap video of all time. If you are a fan of EconTalk, play this game as you listen! This White Oak bench was made for a customer to match the table I had made for them. I can make matching benches, with our without a back, for any table. I made this white oak buffet as part of a matching dining room set. 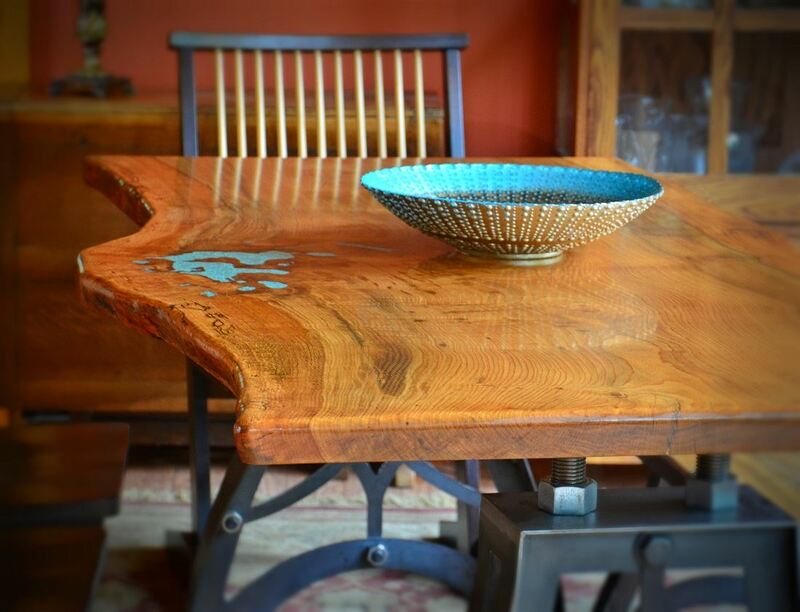 This white oak slab dining table came from the large tree that was taken down on the north side of Frederick. 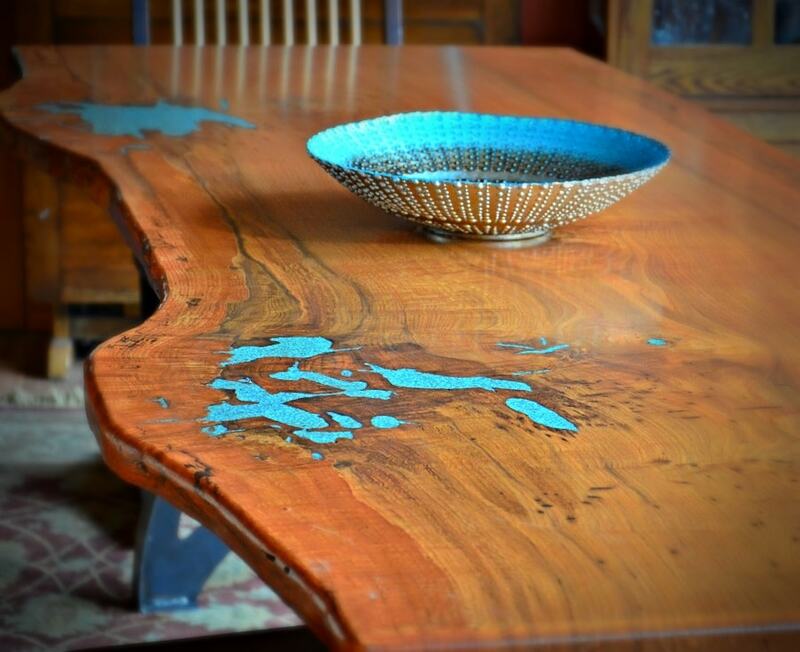 It has turquoise inlay and is available with either hairpin legs or vintage industrial legs made by local artist metal sculptor Joe Dale. 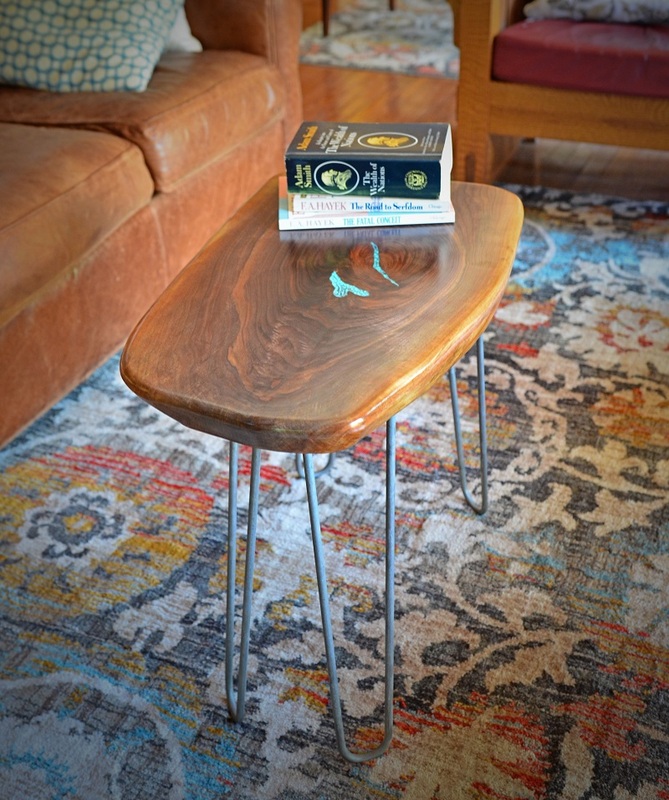 This natural edge Black Walnut coffee table with turquoise inlay is displayed with mid-century modern hairpin legs finished with matte black powder coating. 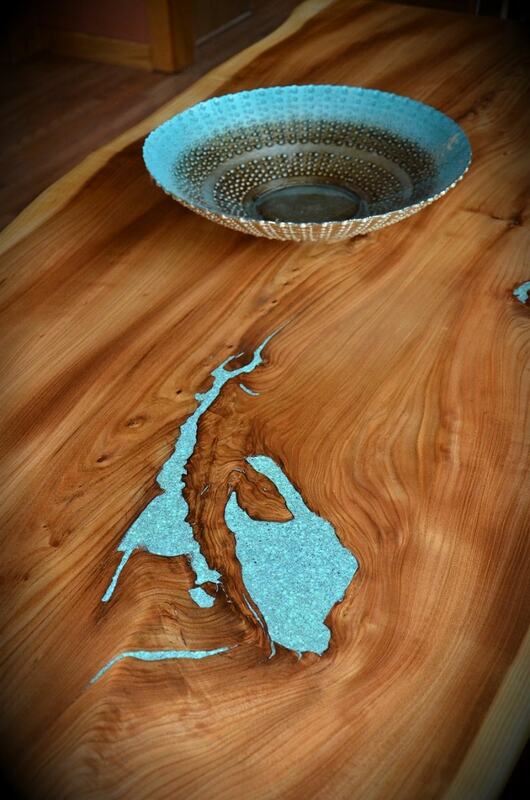 This very organic black American Elm slab has turquoise inlays in the natural voids of the slab. It is for sale on Etsy. The historic tree was downed during hurricane Sandy in October 2012. 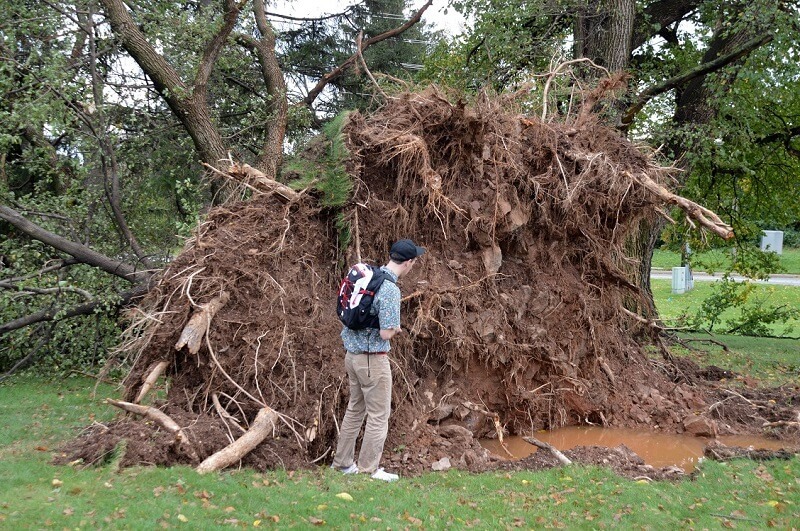 It stood on the St. Johns at Prospect Hall property in Frederick, MD. 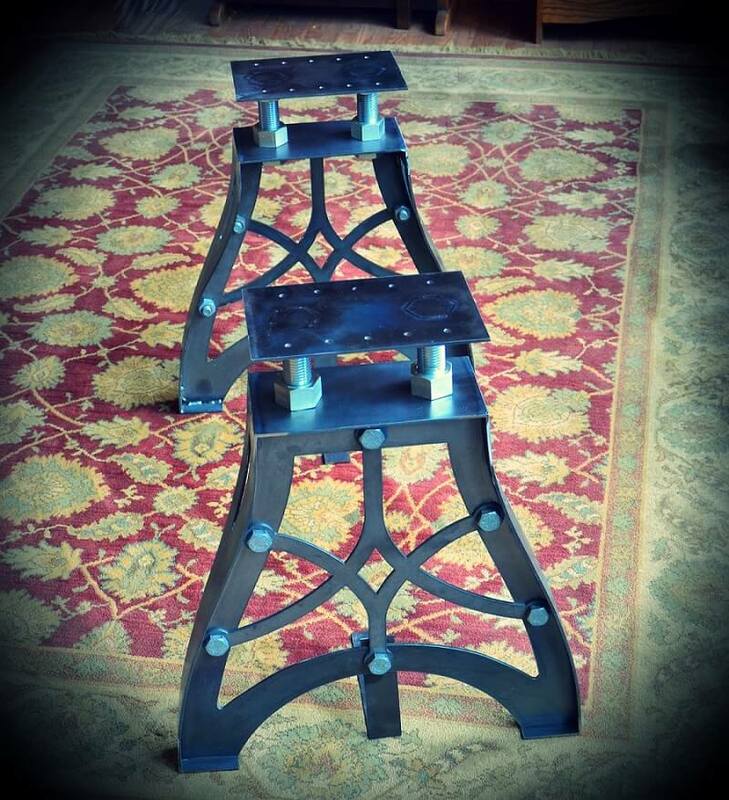 All dining room tables are available with retro industrial steel legs custom made by Joe Dale at Metro Design. 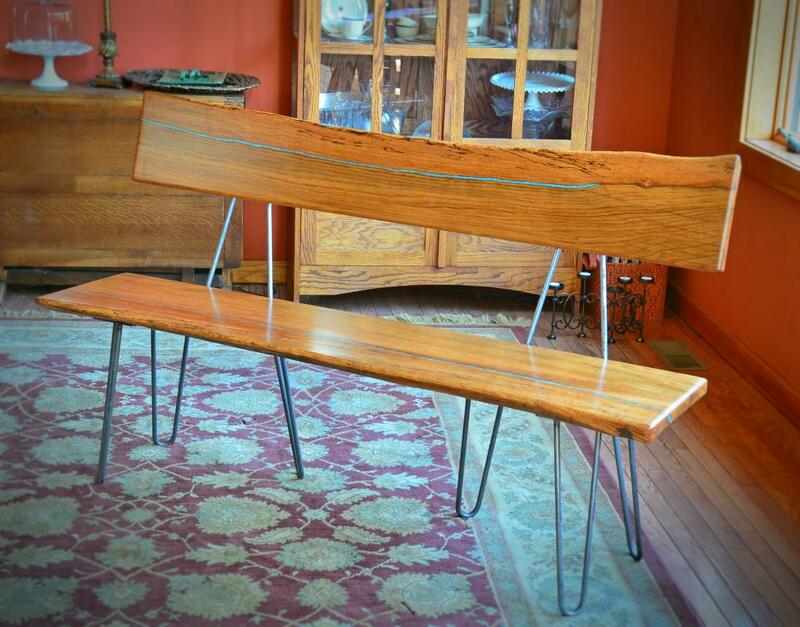 They are available in a variety of finishes and as smaller bench sized legs. I will be taking part in the following events where much of my inventory (space permitting) will be for sale. 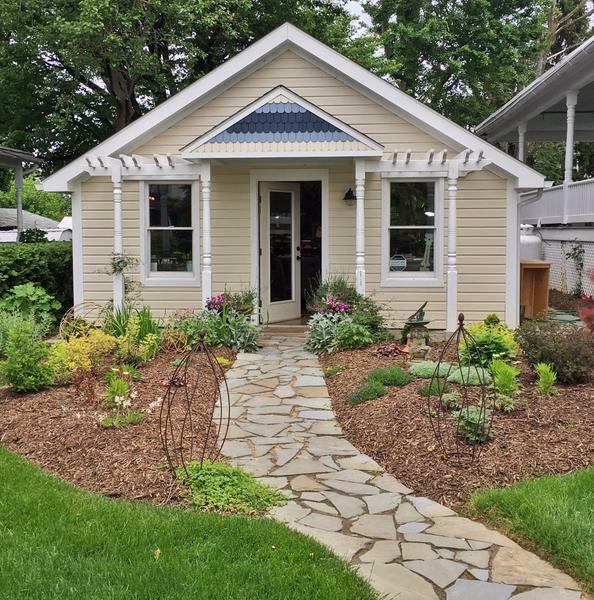 I will take part in the 2019 Spring Market Days at Chartreuse & Company in Buckeystown, MD along with Joe Dale from Metro Design. 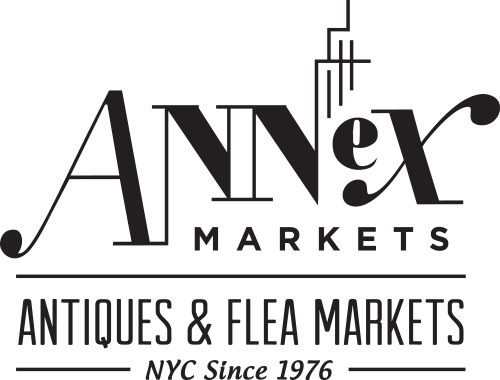 I plan on taking part in the Chelsea Flea Market / Hell's Kitchen Flea Market several times this Summer and Fall. Here are some of the events I have taken part in over the last few years. 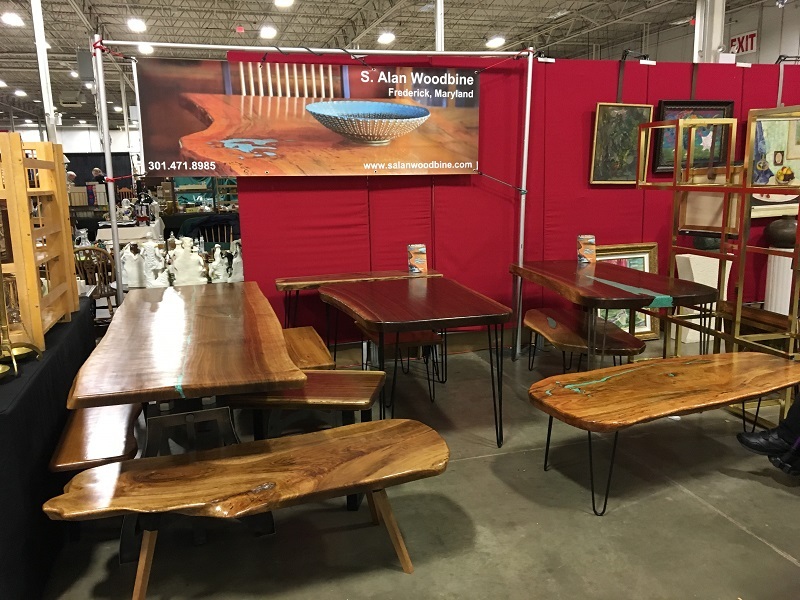 I took part in the DC Big Flea at the Dulles Expo Center in Chantilly, Virginia. 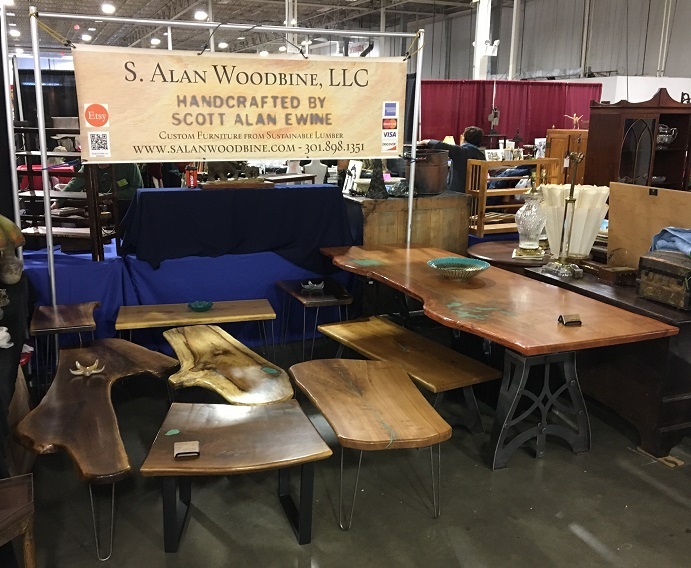 I took part in the 2018 Fall Market Days at Chartreuse & Company in Buckeystown, MD along with Joe Dale from Metro Design. 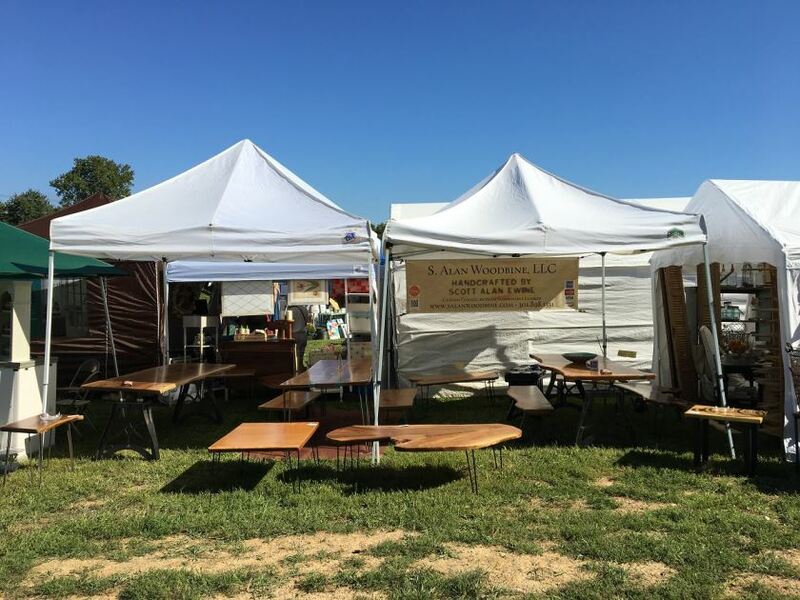 I took part in the 2018 Spring Market Days at Chartreuse & Company in Buckeystown, MD. 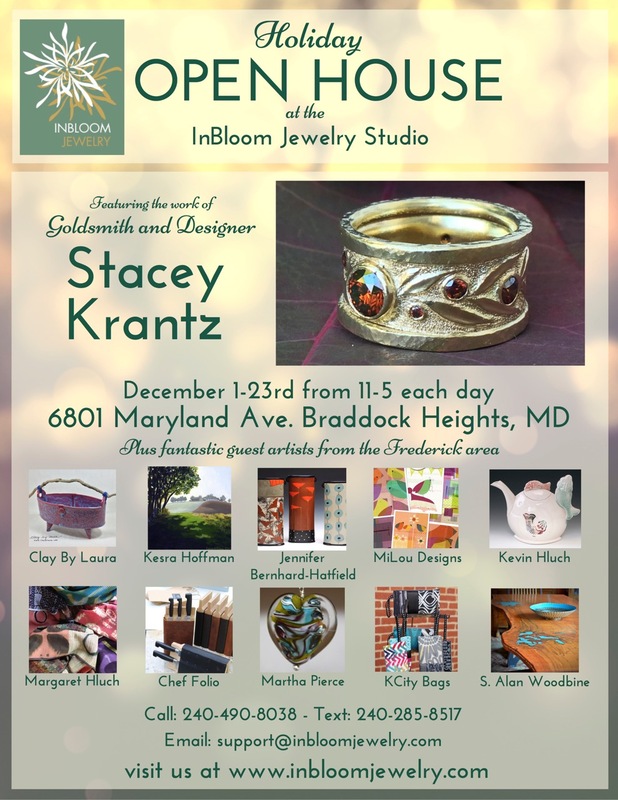 Several of my pieces were on display as part of the InBloom Holiday Open House leading up to Christmas. 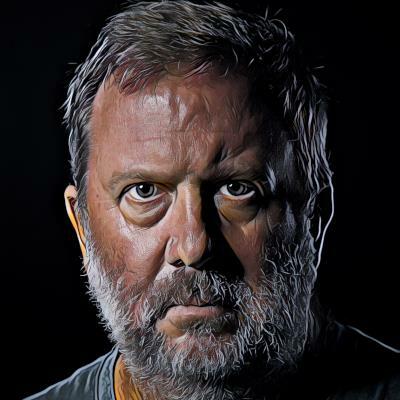 A list of all of the local artists that participated is available here. I took part in the 2017 Fall Market Days along with Joe Dale from Metro Design at Chartreuse & Company in Buckeystown, MD. These are some of the trees I have used over the years. This oak came from the National Mall in DC and is almost 60" in diameter. It should be ready to work in 2019. This large white oak had to be removed to make way for the Monocacy Boulevard extension on the north side of Frederick, Maryland. 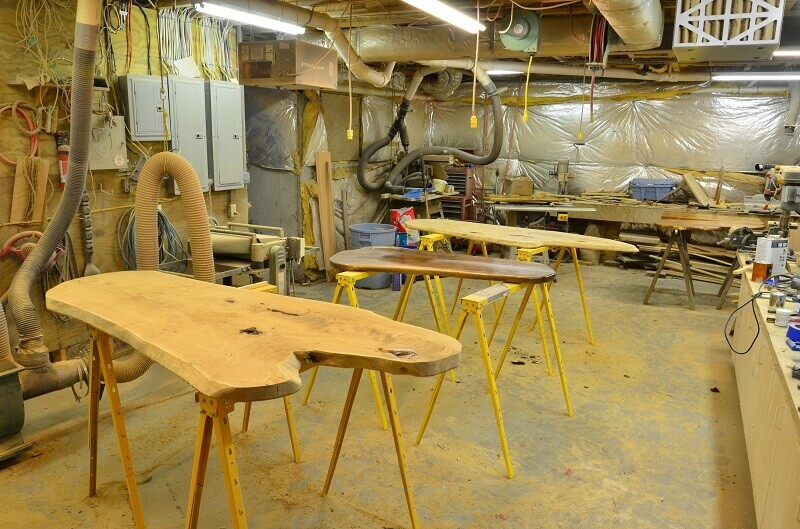 The slabs have been processed and are ready to be worked. 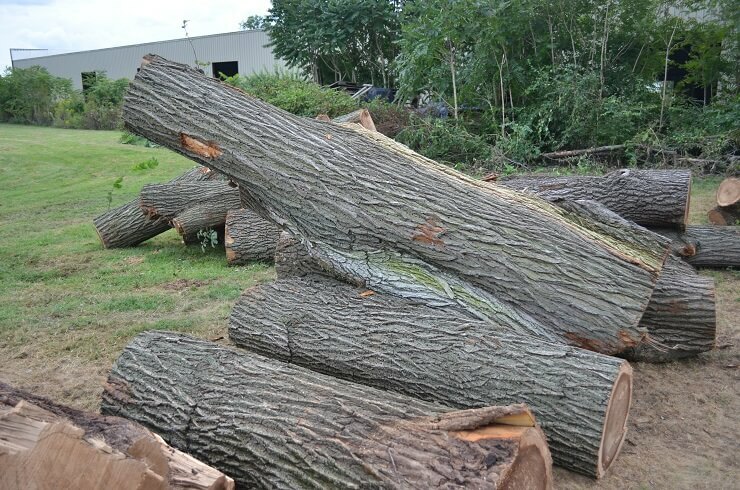 American Elm is somewhat rare, many of the trees were wiped out by Dutch Elm disease over the last 50 years. This tree stood for ~150 years on the St. Johns at Prospect Hall property in Frederick, MD until Hurricane Sandy toppled it in October 2012. 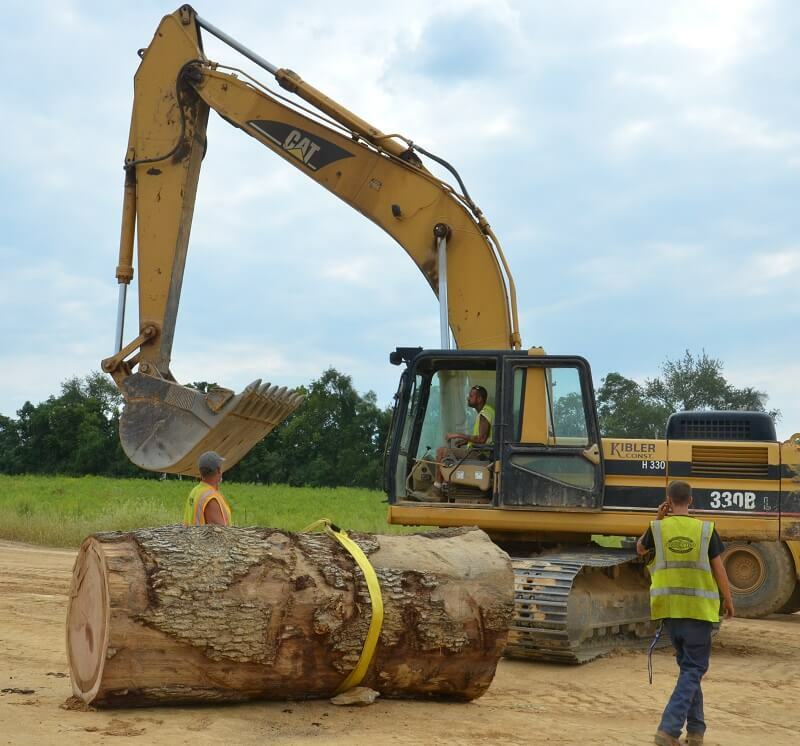 These trees had to be removed from a property near the Frederick, Maryland airport to make room for new development. The slabs from this set of trees will be ready to work in October 2015. I do not have a showroom or retail space, all of my pieces are available for inspection at my home. I am generally around during evening and weekends and can be available during the day on weekdays as well. Please contact me to schedule a visit. I work from the Prairie Style house I built for my family in 2001. The front elevation is modeled on the E. P. Irving House in Decatur, IL. Interesting fact: The current owner of the E. P. Irving House is also from Frederick, MD! My shop is in the basement and has enough space for me to work on 6-8 tables at a time. I keep Etsy up-to-date with my entire inventory, here is some of what I currently have for sale. I accept all major credit cards, personal checks, money orders, PayPal, Ƀitcoin, Łitecoin and Ξthereum. Contact me via email if you have any questions or are looking for something in particular. I am continually getting in new slabs that range up to 4 feet wide and 10 feet long. © 2017 S. Alan Woodbine, LLC. All rights reserved.